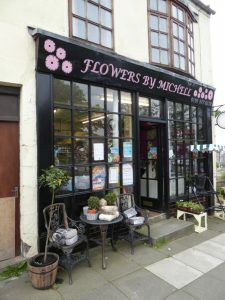 ‘Our florists has a great range of flowers and seasonal plants. You can order an array of bouquets for delivery for the shop. So if you want to let someone know that you love them, or know someone who is having a birthday, perhaps is recovering from illness or has had a recent bereavement when why not send them some flowers. We have a fantastic choice and can deliver them for you’. The shop also does a good range of Yankee Candles.